On Sunday, Google’s chairman Eric Schmidt published aguideexplaining to current iPhone users how they can most effectively switch to an Android-powered device. 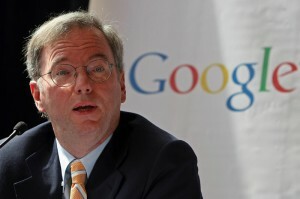 The guide, which Schmidt called “Eric’s Guide: Converting from iPhone to Android” was published on Google+. This guide is obviously not necessary for people that want to switch to an Android smartphone, so Eric Schmidt likely put it out in order to dig at Apple. Some of the statements made within the guide are open to debate since there are definitely people that simply do not like Android, in the same way that some people do not like Macs and prefer PCs. People that currently have iPhones instead of a Galaxy S4, HTC One, etc, have probably avoided switched because they prefer the ecosystem of iOS devices over what Google can offer with Android. On top of that, Google has attained nearly as much market share as it can ask for in the smartphone market. Right now IDC says that Google controls 81% of the market, whereas Apple only has 13%. Schmidt’s guide does provide some tips for people that need to transfer over their information from an iPhone to an Android device, but in the end, he is simply looking to bring more attention to himself, Google, and Android.